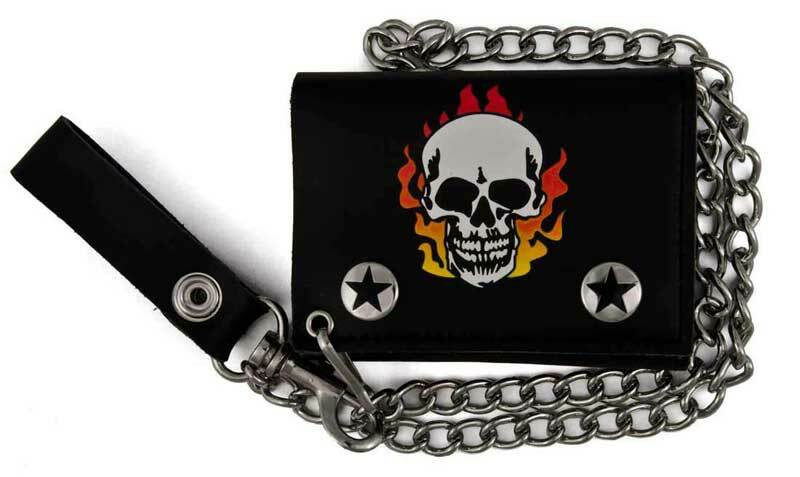 Black leather wallet with skull flame design and snap detachable chain. Cheap, but that is what I paid for. 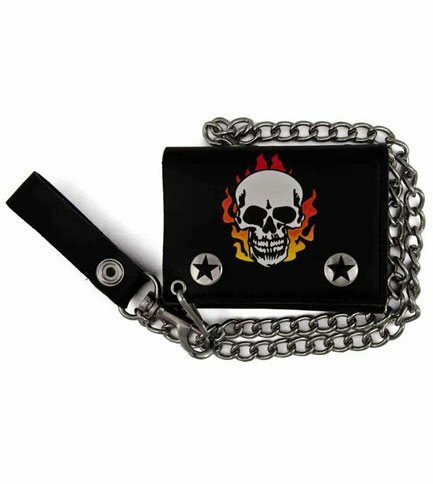 Great wallet though. Seems like it is real leather. The inserts are kind of standard cheap plastic. Comes with extra pockets. All in all it seems to be doing the job and would defiantly recommend it. Shipping was super fast. 2 days.